In Conjunction with AV DIgital (Pty) Ltd, We Are Thirty-three recently consulted and provided technical management services on a number of audio-visual art installations at the prestigious Zeitz MOCAA. This was an exciting step out of the norm for us as a majority of the projects that we’ve worked on are predominantly digital projects. But this project was an incredible opportunity to blend the worlds of digital and analog technology to produce incredible results. 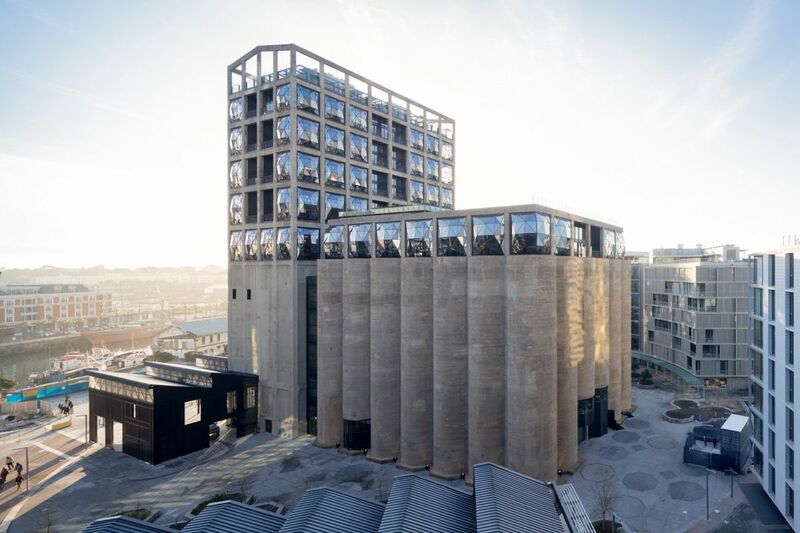 The R500-million (£30-million) development of Zeitz MOCAA is the first major museum in Africa dedicated to contemporary art and was established in 2013 through a partnership between the V&A Waterfront led by CEO David Green and collector Jochen Zeitz. The museum is housed in 9,500 square meters of custom-designed space, spread over nine floors and carved out of the monumental structure of the historic grain silo complex. The galleries and the cathedral-like atrium space at the center of the museum have been literally carved from the silo’s dense cellular structure of 42 tubes that pack the building. The development includes 6,000 square meters of exhibition space in 80 galleries, a rooftop sculpture garden, state-of-the-art storage and conservation areas, a gift shop, a restaurant and bar, and various reading rooms. The museum will also house Centres for Photography, Curatorial Excellence, the Moving Image, Performative Practice, Art Education, and the Costume Institute. Below are a few of the projects that we were involved with at this incredible institution. 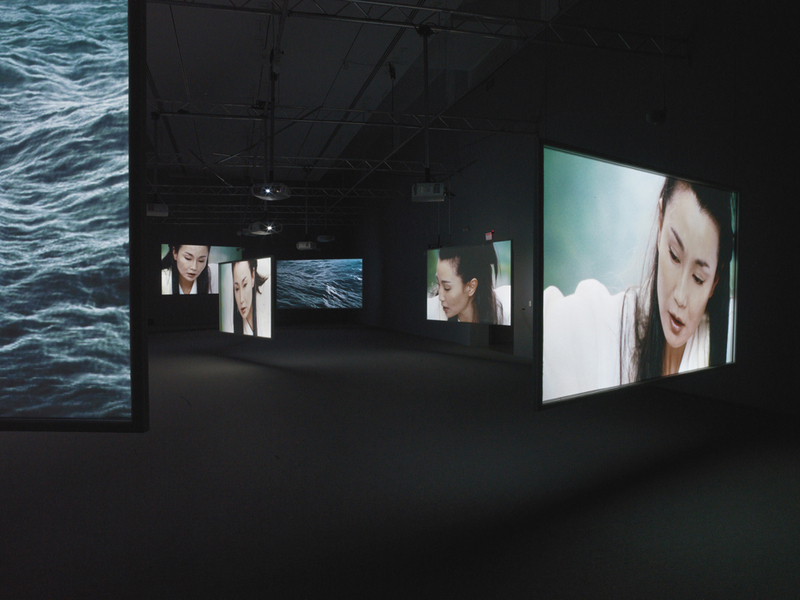 Ten Thousand Waves is a nine-screen installation displayed at Zeitz MOCAA as part of the inaugural exhibition, All things being equal…, was shot in China and poetically weaves together stories linked to China’s ancient past and present. The work explores the movement of people across countries and continents and mediates unfinished journeys. Working very closely with Issac Julian’s technical team, we designed what turned out to be an incredible solution for distributing multiple streams of audio and video to be displayed on each of the 9 huge 5m screens. This was an incredible project to be involved with, mainly because of the blending of both analog and digital technology and the sheer size of the work culminated in a hugely impactful experience. The End of Carrying All is a three-screen angled installation where we had to program a solution to display separate media files on three separate screens perfectly in time with a single soundtrack. 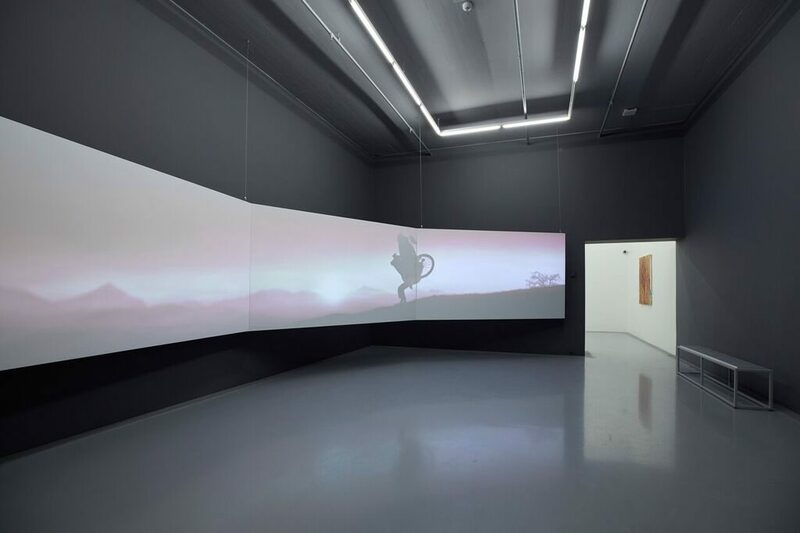 The piece shows an African lady walking, seemingly, across each of the three screens with her load becoming progressively heavier the further she moves from screen to screen. This what an extremely challenging but satisfying project due to the fact that we had to suspend the platform housing the projectors from the 5-6 meter high ceilings without any movement from the vibrations of the building whilst keeping the projected image seamless. 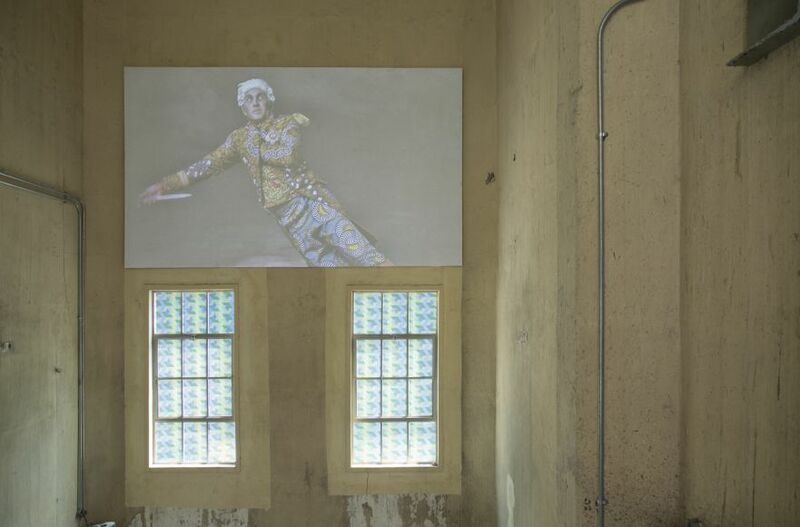 The artist undergoes a self- reflexive journey, tracing the effects of Apartheid and Colonialism in South Africa. His animated films are set in the exploited industrial and mining landscapes around Johannesburg. These locations symbolize a history of abuse and injustice. The characters of his films are an autobiographical and fictionalized fusion that relate to his own narrative as a South African. Rendered in an expressive and gestural style in black charcoal and ink, Kentridge’s drawings undergo multiple erasures and additions to produce film stills. This palimpsest of gestural marks in each film still speaks of Kentridge’s interest in political art, as an art of ambiguity, contradiction, and uncertainty. Furthermore, this successive drawing technique figuratively symbolizes time, change, repression, and selective memory. 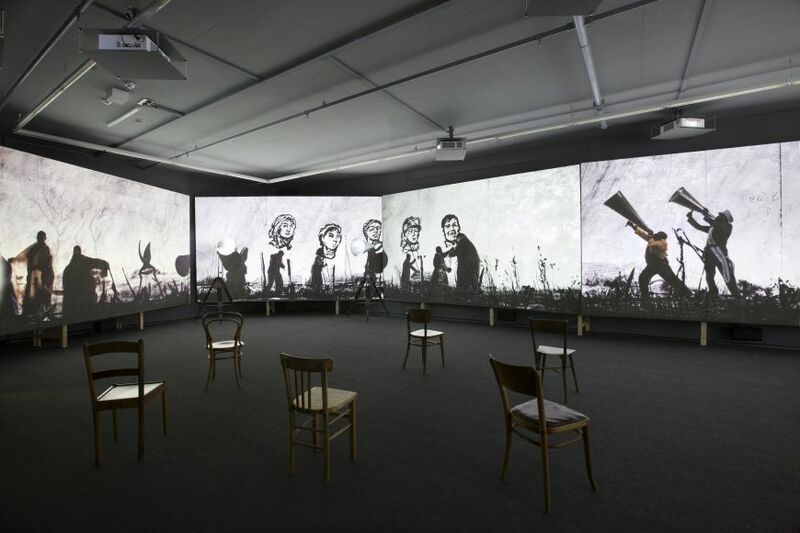 Kentridge’s series of short films titled, 9 Drawings for Projection (1989- 2003) won him international acclaim. This was definitely the most challenging piece that we worked on at Zeitz MOCAA. I comprised of seamlessly combine six videos projecting on to custom screens covered in plaster with twelve unique channels of audio. But for all these challenges the finished work is truly breathtaking. Addio del Passato tells the story of Lord Nelson’s rejected love and plays out as an endurance performance. The sound of the opera resonates throughout the Dusthouse 24 hours a day. Four floors of stained glass windows are illuminated from the interior. The extraordinary projection draws in the audience across the bridge from the interior of the museum or from the stairways from the museum parking below.